This design object, made entirely of Corian, highlights the true art of manufactured kitchens and craftsmanship. 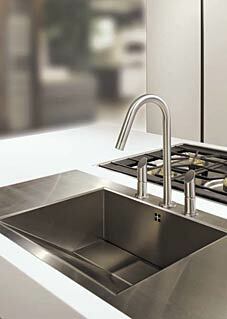 The kitchen sink and gas range are flush-fitted into the worktop. 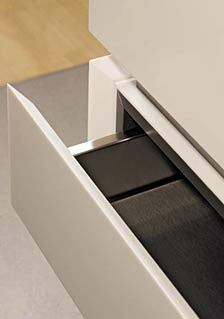 A seamless handle recess allows access to the front, rear and side panels of the island. A genuine luxury kitchen with a brand name.